While it would have been nice if every single person was given the information they needed in order to be successful at budgeting, this simply isn’t the case. Even in the case that someone knows how to budget, there are those who still find it incredibly difficult to do. Seeing as how being unable to budget can essentially ruin a person’s life should they get in too deep, we want to provide everyone who reads this post with the vital information they need in order to become budget savvy. Continue reading below to learn the basics of budgeting so that you can stop worrying about money so much and begin living just a little more. The simplest way to explain what a budget is to take into account what a budget includes and what it does not. All in all, a budget is just a breakdown and plan that details how much money you have coming into your household and what you spend that money on. While some people don’t understand the importance of making a budget for their home, it is actually one of the most beneficial things you can do. After all, can you imagine is a business didn’t track their income and expenses? There is simply no way at all that business could prosper, let alone succeed. Keeping a budget is imperative to figuring out how you can pay for necessities, as well as anything additional. Are you tracking your income? When you decide it is time for you to create a budget, the first thing you must do is determine how much income you have each year. This is fairly easy to do seeing as how you just need to look at your pay stub and potentially the paystub of your partner. You will also want to add in any additional income that you may have so that your budget will be accurate. Now that you know how much money you’re making, it’s important to next figure out how much money you are spending. Tracking your expenses for a month will give you a pretty good idea of how much money you need to sustain your current lifestyle. Start with the fixed payments you have to make. These are things like rent, utilities, gas for your car, insurance, food and toiletries. For the most part, these costs should add up to relatively the same amount each month. The next thing you are going to want to do is figure out how much you spend on other things throughout a typical month. These would be things like going out to dinner, shopping for new clothes, and any other additional costs that you make frequently but that are not necessities per say. Once you have your income and your expenses figured out, the goal is to get your expenses to be less than the amount of money you make. This is how you create a successful budget. The likelihood of this being the case from the get-go is slim to none. You will likely have to cut out some of your extracurriculars from time to time if you want to save some cash. Don’t worry though, everyone who is responsible with their money has to do the same thing. Need additional help with your budget? 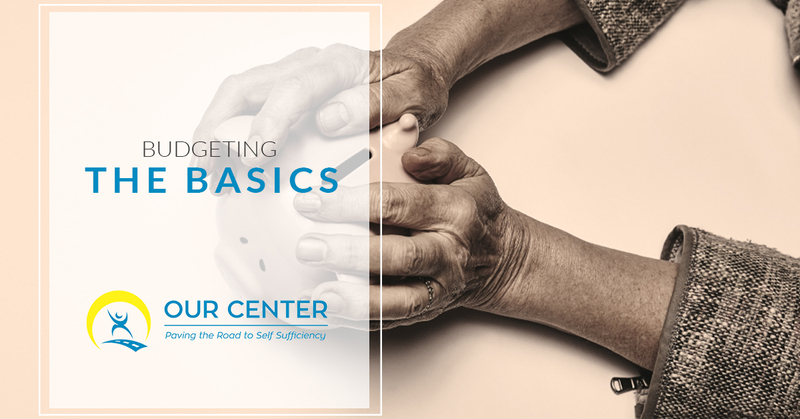 If you are still struggling to make a budget that works for you and you would like a bit of additional help, let the staff at OUR Center lend you a helping hand. Our Personal Development programs include access to budget counseling and planning sessions. Contact us today to learn more about how we can help you to successfully budget your money in no time.